January -This is an excellent month to look to your future. You have done a lot of hard work, in the past, put up with some unappreciative bosses and taken some flack from colleagues when you didn’t deserve it. Now it’s your turn to smile because the tables are finally turning and you, my Virgo friend, are on the way up. Make the most of the positivity that surrounds you at the beginning of this New Year. February – There could be some arguments in work this month. It would probably be best to sit on the fence and not get involved. However, if you do speak your mind it may cause you more worry afterwards since you will wonder what people are thinking. Try not to take yourself too seriously. Let the rift settle and all will be well. March – Your organisational skills will be put to the test this month. Work will be tough and there will be a lot of pressure on you to deliver. In your usual unassuming way you will get on with the job. Try to take some time out for yourself and your family. You do not want loved ones to feel they are being neglected. April – You will be very busy this month and a little bit aggressive. The latter doesn’t suit your temperament. Others may try to emulate your ideas. What they haven’t bargained for is your astuteness in dealing with them. You will be the one with the upper hand no matter what other people do or say. Remember your advantage, but don’t be too assertive or you will end up upsetting folk and that is the last things you are naturally inclined to do. 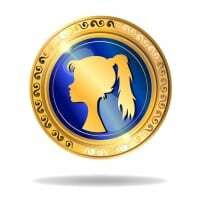 May – Virgo Horoscope analysis shows that you may feel a bit down and tired during this time. You may need to take a break from routine and let someone else hold the reins for a bit. This negative feeling will quickly pass and you will be back to your normal self before the end of the month. You have so many things you want to accomplish and so many plans you want to make. From where you are standing the world looks to be a very pleasant place to be in. June – Someone older than you may leave you something in their will or tell you that they have. It is unlikely that you will be gifted by them until later on, possibly the year after next. You will want to get jobs done in the house and will strive to clean everything in record time. Partners and friends are happy to help with difficult jobs so don’t be afraid to call on them. This is a good time to get in touch with people you haven’t spoken to for some time. July – You could find little things irritate you this month. The problem will be that you are not yourself and finding it very difficult not to be overly critical of others. You ten to notice lots of little details which many others don’t. Your perfectionist streak can be extremely useful but not if you keep finding fault with loved ones. They are likely to become prickly if you don’t curb this tendency. August – This is a good time for discovering new things. You will be open to new ideas, willing to have a go at almost anything and happy to revive a relationship from years ago, possibly from childhood. There will be good news coming your way at the end of the month. You may appear very picky to others who don’t know you very well. Try not to be too stand-offish. September – This is an excellent time to take stock and enjoy your good fortune. You will be sharp and witty and others will enjoy spending time with you. It’s a good month to build bridges with someone you may have fallen out with. If you are prepared to make the first move, others will fall in line with your ideas. October – This could be a quiet month for Virgo people, my astrological charts indicate. You will have time for some quiet contemplation. Some of you may enjoy your own company so much you may think about organising time away from the family on a regular basis. Although your family needs always come foremost in your schedules, you may be a little bit selfish this month. Don’t feel guilty about this. People understand. November – Virgo Horoscope study indicates that this period carries good and not so good fortunes with it. In your work, there could be some minor upheavals. There could also be some bizarre gossip going around that makes you rather depressed. Try not to get mixed up with other people’s affairs. Keep your own counsel and things should be fine. December – You may feel tense one minute then relaxed the next. Your moods could be seen as contrary by those who either don’t know you or who don’t understand you. This is a good month for having fun and enjoying the Christmas celebrations. Spending time with younger people will encourage you to open up to others and enjoy yourself more Virgo. © areesecelticastrology.com. All rights reserved.